Bonjour Sweet Peas! I was wondering why the word “No” gets such a bad rep. I can’t understand why we feel so badly using or accepting the word “no”. Don’t take it personally, but you will the victim and perpetrator of the word. It will never go away. The word will haunt us for the rest of our lives if we don’t put the thoughts surrounding it in check. Let’s start with how telling people “no” can attract unnecessary guilt and shame. We all have friends and family who believe that we are to accommodate them at their leisure. Or church members who may tell you “do it for Jesus”. Since we have a conscience that drives us to feel “obligated”, telling them “no” impresses upon us a false sense of shame. We are tired mentally and emotionally. We’ve been going on zero fuel for 30 days straight. Our time is being monopolized by everyone else. We think “I really don’t want to do this or that. It makes mean puke a little in my mouth” or “but she was there for me when I needed her”. Another good one is “I’m not busy doing anything, so now I’ll have to____ (full in the blank), maybe I can make up a great excuse” (don’t tell me that you haven’t done it). So, we say “sure” through gritted teeth and then resent the person who asked you. Now for those of us who can’t handle the word “no” and who make someone feel bad for having boundaries and knowing how to take care of themselves. I have three choice words for you. GET OVER YOURSELF! If only life was about you and what you believe others should be doing in order to make you happy. Wouldn’t that be wonderful? Reality is people have their works that they’re trying to figure out. Let go of expectations and love people for who they are and not what they can do for you. It’s true that no man is an island. We need each other. Furthermore, we all have to share the same Earth. We all have our lives to live. Growing up is about being aware of the part that you play in the disfunction of your world. Think of why you would say “no” to someone and understand why someone would say no to you. It’s not because you don’t like them, or you don’t care about them. You may just not want to do what they’re requesting. Saying “no” is totally acceptable. Also, we don’t have to explain why we’re saying “no”. 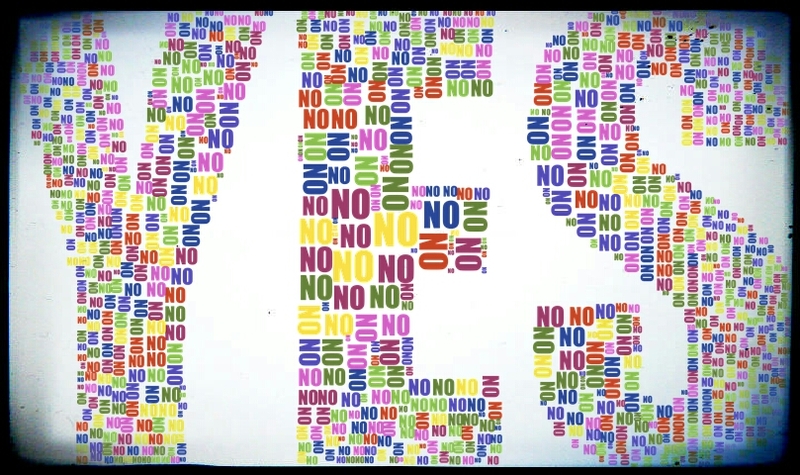 We tend to expound our “no’s” in order to help ease the blow of using the word. We’re all grown people. Do not feel guilty about drawing your boundaries and taking care of yourself. Do not shame or make others feel ashamed for saying “no”. Honestly, I hate when people tell me “no”. It’s a gross feeling when anything looks, smells or acts like rejection. All the same, I simply hoist myself up and think “I’ve had to say “no” to people before and wasn’t to be cruel”. Just take away with you this message; you have a right to be who you are without feeling shame from others about it. Previous Post Bold and Courageous! Next Post Influenster Tinsel VoxBox! Great article. You’ve covered a lot of the issues Around a misunderstood word. Thank you! I’m glad that you appreciated it! I wasn’t sure if anyone would enjoy it! It’s appreciated! Saying no is a hard one for many people. I’d thought of writing a blog on it myself. I used to have a really hard time saying no, but after going through all of the feelings that you mentioned, I decided it was necessary. I said no to my daughter the other day and you should have seen her eyes bug out! Lol. Ha! I’m sure they were as big as saucers! Lol! Good for you! I’m currently in my season of “NO”. Boundaries! People will totally take advantage of kindness even if it’s unintentionally. 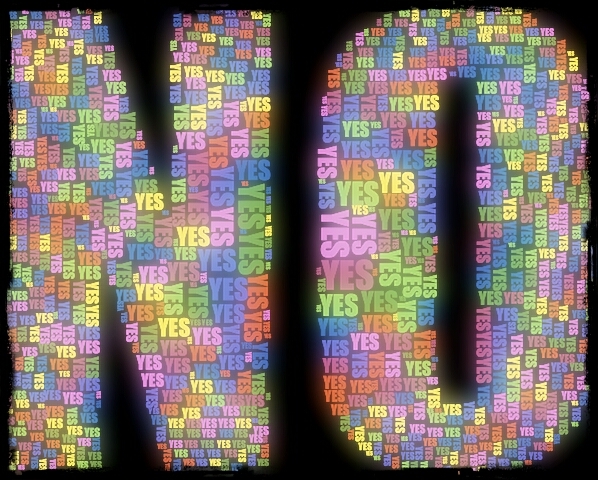 Maintain your sanity through saying no!